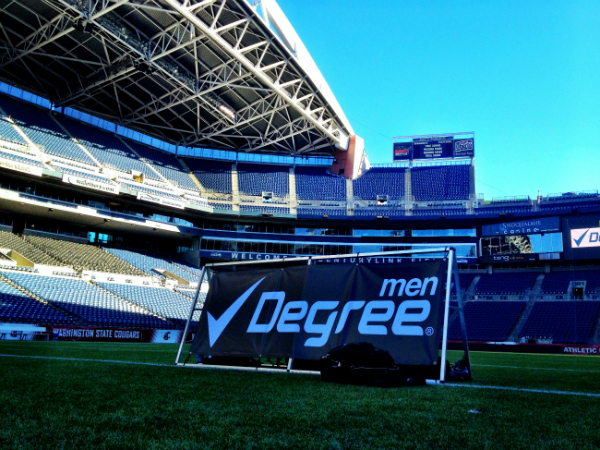 This past weekend Degree Men flew me out to Seattle for a sweet set of events that showcased the motion-activated power of the Degree Men Adrenaline Series. Most deodorant sticks respond to a person’s wetness, but the Degree Men Adrenaline Series is some DEFCON-level deodorant that uses MOTIONsense™ technology to respond to actual activity and body movement. This patented piece of odor-fighting tech starts working more the more you move around. It’s a clinical-grade antiperspirant designed to last for long stretches at a time (up to 48 hours). Even the most extreme adrenaline junkies can’t outstink these sticks. Adventure – A citrusy blast of forest fueled goodness. Musky without going overboard. Everest – A cool sensation of wintery clean. Almost mentholated in its briskness. Extreme – A minty-citrus combo with an outdoorsy undertone. Fresh side of the great outdoors. Sport Defense – Rustic black pepper meets odor-busting chillness. Just the right amount of spicy. V12 – Calming herbal blend that mixes subtle scents with a crisp finish. Simple and meditative. Bear Grylls is the ultimate symbol of staying cool in extreme situations. 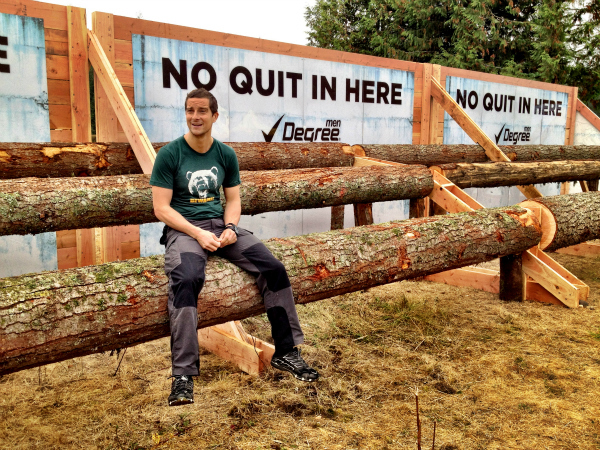 I sat down with him to chat about the spirit of Tough Mudder, the obstacle that he designed for the course, his favorite spot on planet Earth and you know, that whole what’s-it-like-to-be-known-as-the-guy-who-drinks-his-own-piss thing. 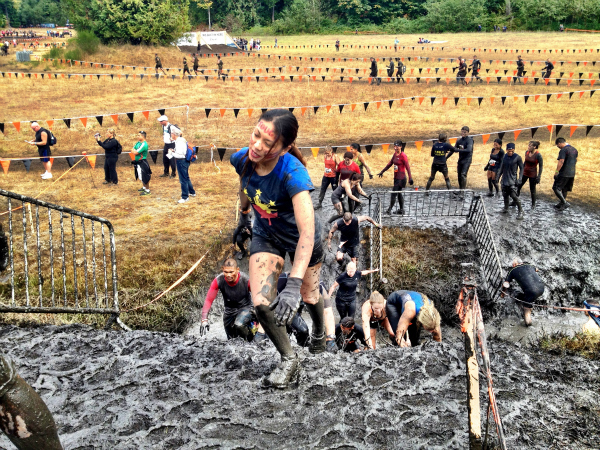 We toured the Tough Mudder course in Seattle the day before the race and I got to see the clean version of the course – a 12-mile track with 22 savage obstacles – before it was muddied and bloodied by over 8,000 participants. The following day I watch as these muddied masses pushed themselves through all the brutality, with a lot of teamwork, camaraderie and respect on display. Multiple rounds of intense, spinout-fueled competition on go carts that reach speeds of 50 MPH. 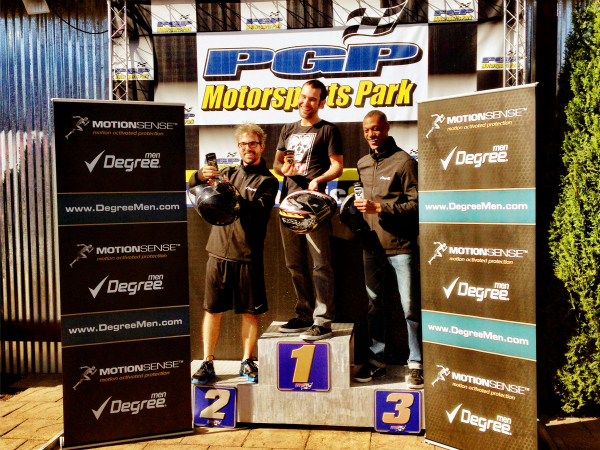 The Crave Online guys dominated the final race at PGP Motorsports Park. I got to tour the stadium with a fun-loving historian. 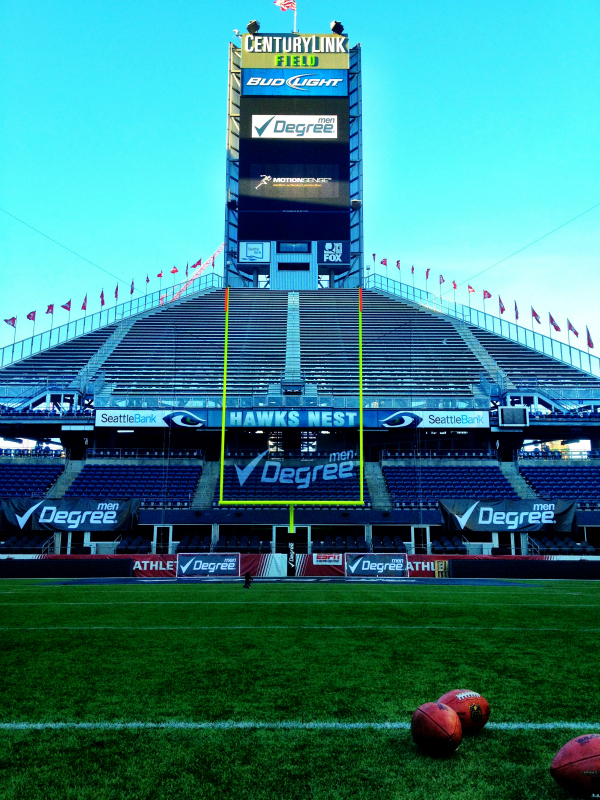 Saw the scene of the Golden Tate crime, scoped out the visitor locker room and got some practice time on the field. Former Seahawks kicker Norm Johnson and former Seahawks fullback Mack Strong gave us some tips on how to kick field goals and throw spirals. So yea, good times this weekend. With good people, too; from Crave, AskMen.com and the Yahoo Mansome crew. Stay tuned for more posts from this weekend’s awesome events! Print article This entry was posted by Chris Stout on October 1, 2012 at 11:53 pm, and is filed under Lifestyle. Follow any responses to this post through RSS 2.0. Both comments and pings are currently closed.